Schedule a Pickup. Help a Vet. 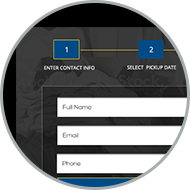 Use the scheduling form above to schedule a pickup in your area. Make sure to include any details that will us better understand your donation. For furniture and larger items, please contact us to make appropriate arrangements. & place in a visible location. 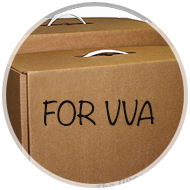 On the day of your pickup, have your items placed in a location that is visible to our driver by 7:30 a.m. Have the items in bags or boxes labeled "For VVA" to ensure our driver picks up the correct items. If you forget to place your items out, we’ll leave you a note telling you how to reschedule your pickup. 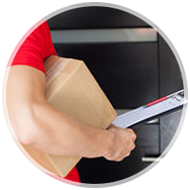 Our driver will collect your items and leave an envelope with a tax receipt for your records. You may also receive a Thank You email. If you have any questions, please call 1-800-915-4007. If it fits in a box or bag, we’ll take it! Use the scheduling form above to schedule a pickup in your area. Make sure to include any details that will us better understand your donation. The day before your scheduled pickup, we will contact you to remind you of your pickup. Reminders can be done by phone call, email, or text message.